Some entertainers are so well-known they only go by their first name. Think Beyonce, Cher, or Madonna. Dunkin' Donuts is reportedly considering joining that lofty company. 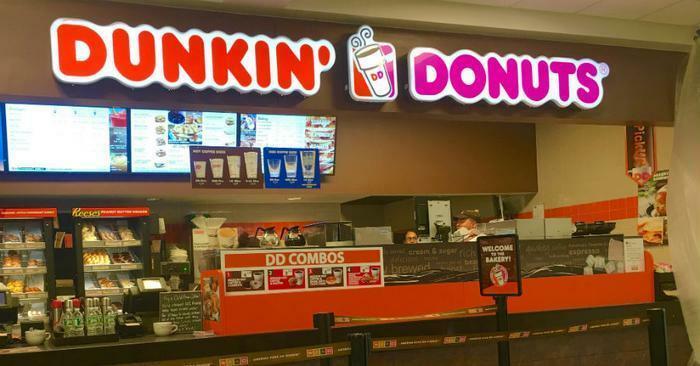 National Restaurant News reports that a new company store, slated for opening in Pasadena, Calif., will be branded only as "Dunkin'," dropping the "Donuts" from its name. The company says it will be the first of several new outlets that will test the abbreviated moniker. There is precedent for this in the food service business. Kentucky Fried Chicken rebranded itself in 1991 as KFC. The company said it wanted to expand its brand beyond chicken products. National Restaurant News quotes a company statement as saying the move is not to de-emphasize donuts as much as it is to emphasize coffee. It's not a departure, the company says, from current branding. “We have been referring to ourselves simply as Dunkin’ in our advertising for more than a decade, ever since we introduced our ‘America Runs on Dunkin’ campaign,” a spokesperson told the trade publication. And in fact, the company's name is Dunkin' Brands. Restaurant News reports the trial of the shortened name may become part of a larger makeover set to launch next year. It says the company may wait to evaluate the results before deciding whether the name change sticks.